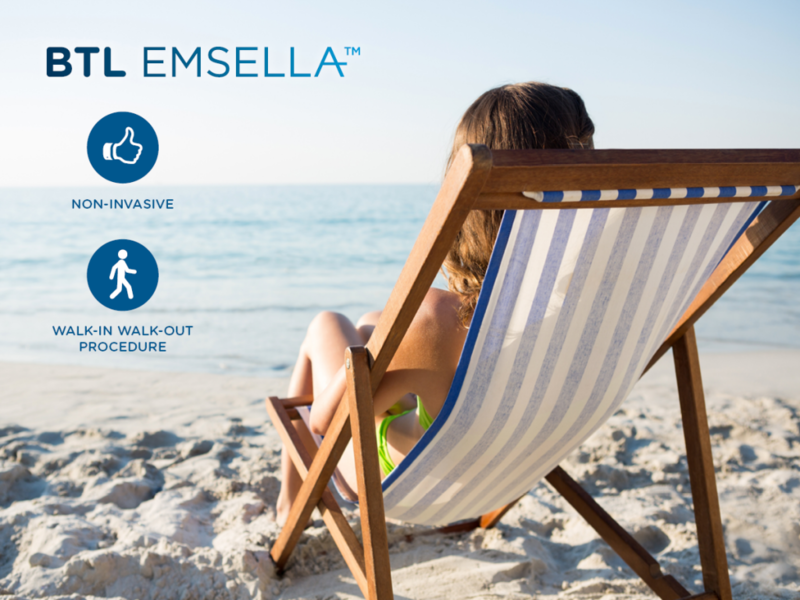 Cirillo Institute announces the introduction of a first of its kind treatment, BTL EMSELLA™– the only device available to target a woman’s entire pelvic floor region for the treatment of incontinence. 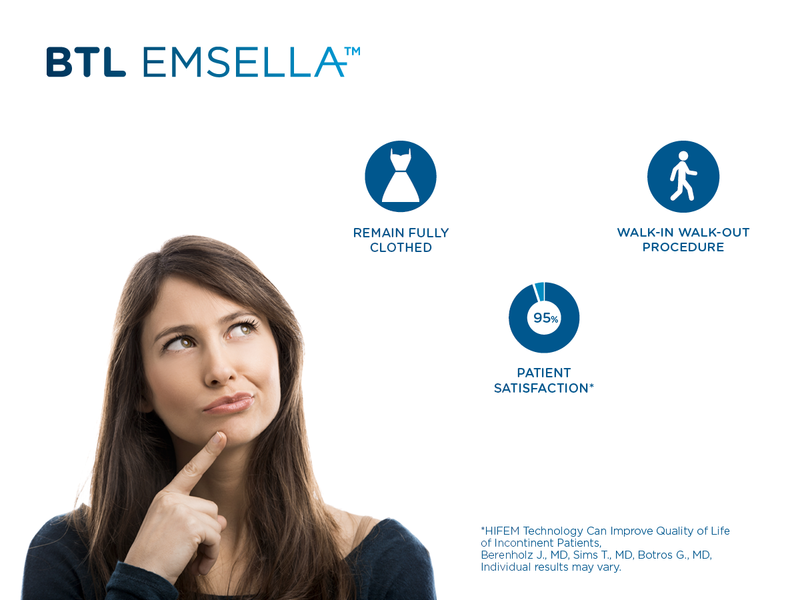 BTL Emsella is an FDA cleared treatment for incontinence. You can remain fully clothed during this non-invasive treatment that has you walking in and out right after treatment. Scientific research shows that 95% of treated patients reported significant improvement in their quality of life. This unique technology revolutionizes the women’s intimate health and wellness category by providing those suffering from incontinence with a completely non-invasive option. 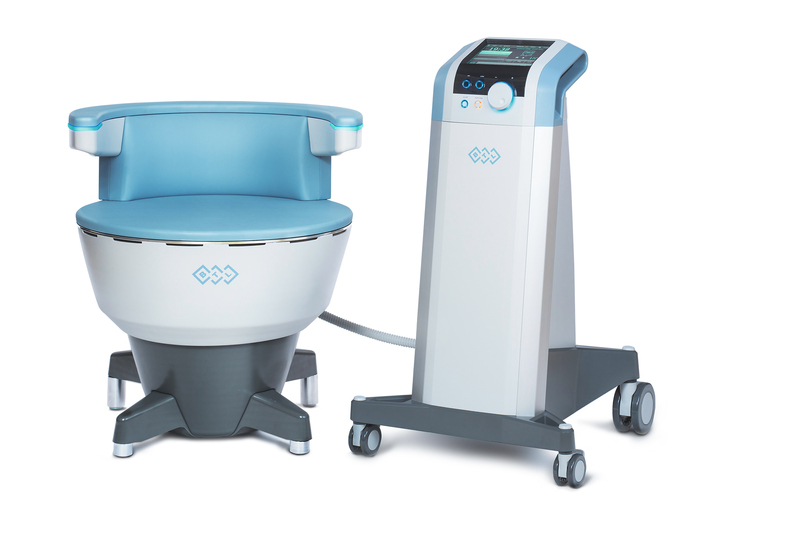 The “chair” design of the device itself allows women to remain fully clothed for treatment, with no pain or downtime, so patients can walk out immediately following treatment. Body aging, childbirth, menopause and other factors can lead to incontinence. Incontinence is also known as involuntary urination. It’s any uncontrolled leakage of urine. It is a common and distressing problem, which may have a large impact on quality of life. Fortunately, you have a new treatment to help. It’s BTL Emsella. Statistics show that approximately 35% of women worldwide are affected by urinary incontinence, which presents itself in three forms: stress (leakage during physical activity), urge (strong & sudden), and mixed (combination of stress and urge). Incontinence is often a result of child birth and/or the natural aging process, and can have a dramatic effect on a woman’s quality of life. Women often report having to give up exercise and a decrease in self-confidence and intimacy as a result of incontinence. 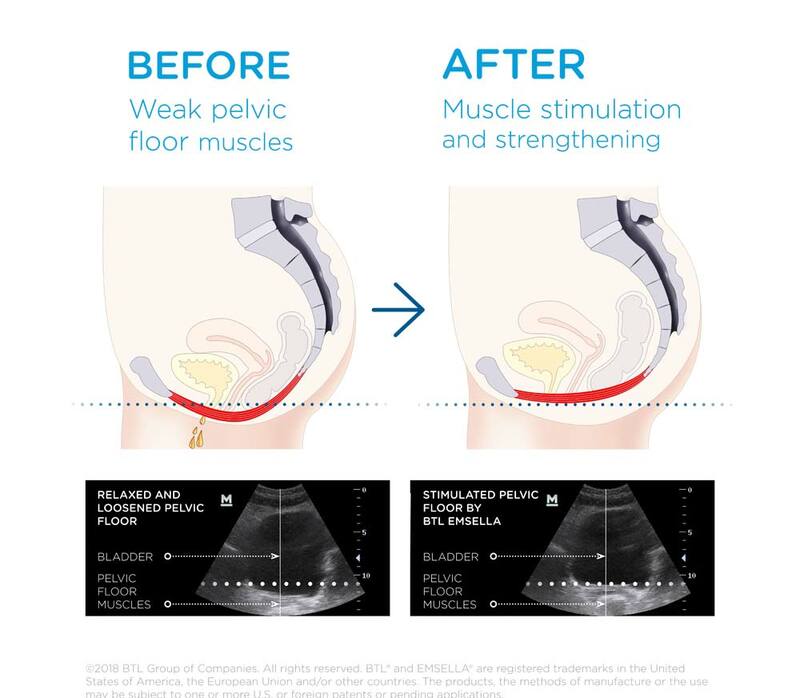 Harnessing the power of HIFEM (High-Intensity Focused Electromagnetic) technology, BTL EMSELLA™ stimulates the entire pelvic floor at once—with a single session providing thousands of supramaximal pelvic floor muscle contractions, comparable to thousands of Kegels. A recent clinical study demonstrated that 95% of patients treated reported satisfaction and significant improvement in their quality of life following six treatments with BTL EMSELLA™. Additionally, 67% of treated patients totally eliminated or decreased the use of hygienic pads in day-to-day life. You will experience tingling and pelvic floor muscles’ contractions during the procedure. You may resume daily activities immediately after the treatment. How Long is the Treatment and How Many Sessions Do I Need? Your provider will tailor a treatment plan for you. A typical treatment takes about 30 minutes and you will need about 6 sessions, scheduled twice a week. to improve over the next few weeks.